Founded in 1968, Mountain Artisans was organized as a nonprofit cooperative quilting business, owned and operated by the women who made the patchwork creations and formed by a group of idealistic women, including Sharon Percy Rockefeller. Dissolved in 1978, the Mountain Artisans brand and name was revived and trademarked by Rebecca Stelling in 2001. Mountain Artisans is a stellar enterprise that represents works by West Virginia artisans through special venues and exhibits. We feature distinctive and functional works of art in wood, glass, clay, and metal, inculding one-of-a-kind art creations that are exclusively available through Mountain Artisans. We draw on a rich history of functional art in the Mountain State. 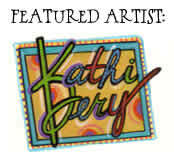 Kathi Dery is recognized as one of West Virginia’s top artists and illustrators. Her work portrays a mastery of color, whimsical design and technical expertise. Her palette of colors spans the spectrum of the rainbow, and each one of her fanciful creations is a one-of-a-kind, collectible work of art. 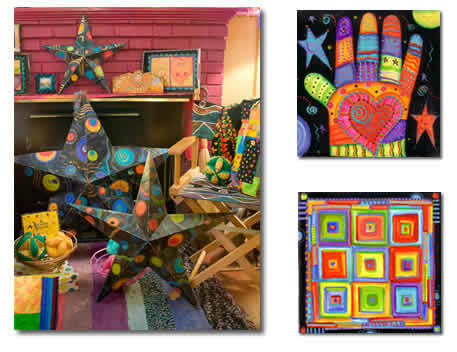 Her painted metal stars are Mountain Artisans’ exclusives!